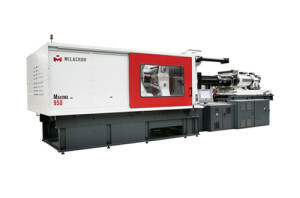 US’ Milacron Holdings Corp. recently completed the sale of a multi machine order, including Maxima Series 3 and 4 Component machines for complex automotive components. A significant number of Maxima Series injection molding machines have been sold in the first half of 2015, according to the company. Under the One Milacron mantra, the Maxima Series clamps are manufactured in Milacron’s Afton, Ohio, the US plant, along with the complete system assembly. The parallel injection units on the Maxima multi-component systems are designed, engineered and manufactured in the Malterdingen, Germany plant. To further complement the machines, Mold-Masters iM2 integrated hot runner temperature controllers are often installed. “By utilizing the strengths of our manufacturing facilities globally, we can offer customers high performance design with best in class lead times,” Milacron Injection Vice President and General Manager, Shawn Reilley explained. Milacron’s industry leading injection units are available in standardized or customized configurations, offering the flexibility to have the injection unit designed to allow for multi-color and multi-component molding applications, such as three to four component automotive lens molding or other complex applications. The company stated that it supports not only the design of the machine, but also the work cell – including supplying and integrating all of the auxiliary equipment, and assisting in the layout of the facility. As said, the Maxima Series is one of Milacron’s most energy efficient two-platen machines, providing up to 60% energy savings over similar models.